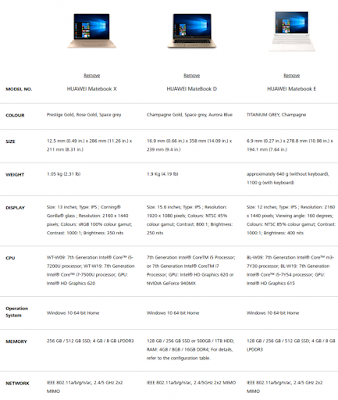 Huawei has introduced MateBook X, MateBook E and MateBook D three new Matebook's. The MateBook X and MateBook D are laptops while the MateBook E is a convertible. 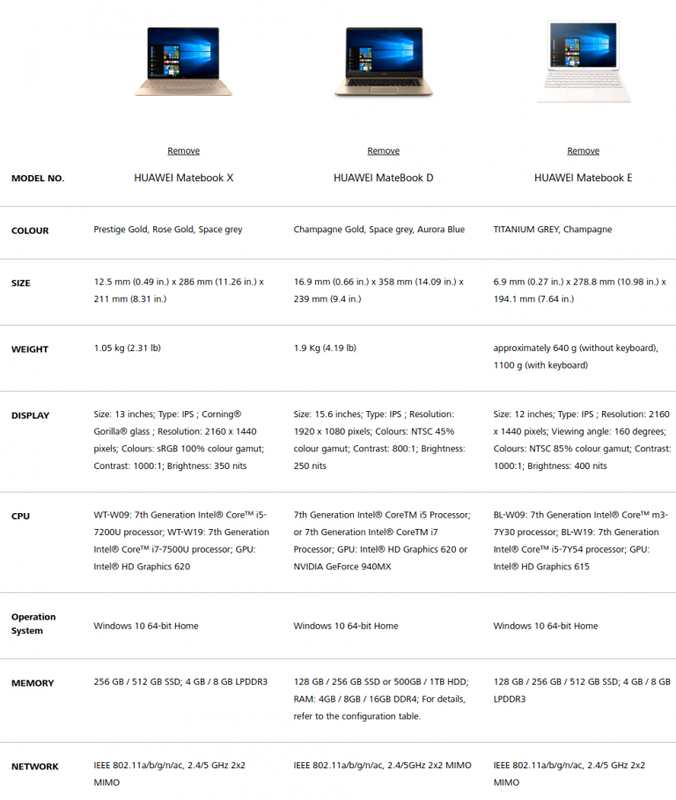 All the three devices are powered by Windows 10. Huawei MateBook X features an 88 percent screen-to-body ratio and 4.4mm bezels with a 3:2 aspect ratio. It comes with HUAWEI Space Cooling Technology, Microencapsulated Phase Change Material – commonly used in the aerospace field. It has a 13-inch 2K display screen with Corning Gorilla Glass and eye comfort technology It is powered by a 7th Generation Intel Core i7 or i5 processors. It has a fanless design and there is a 41.4Wh battery. Huawei MateBook X features Dolby Atmos Sound System with speakers co-designed with Dolby. There is a fingerprint sensor into the power button that works with Windows Hello. It is available in three colors: Prestige Gold, Space Gray and Rose Gold. 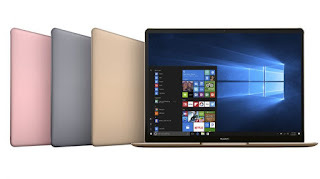 Huawei MateBook E is a sleek and elegant 2-in-1 notebook with a screen-to-body ratio of 84 percent, a new Folio Keyboard with a maximum angle of adjustment that can reach up to 160 degrees. It can be configured with a 7th Generation Intel Core i5 or m3 processors and 2K touchscreen display. MateBook D is a 15.6-inch notebook with an 83 percent screen-to-body ratio, a 178-degree viewing angle, a choice of 7th Generation Intel® Core™ i7 or i5 processors, optional NVIDIA GeForce 940MX Graphics, and Dolby Atmos Sound System. Huawei MateBook X, MateBook E and MateBook D will begin shipping over the summer of 2017.